Jason invites Ben Greenfield on to the show to talk about body performance and longevity. Ben Greenfield does a deep dive on how you can self quantify yourself and measure your body the right way. Ben also talks about how you can shorten your telomeres, his favorite travel app, and more on today’s Holistic Survival show. 2:35 – A decade ago testing your hormone levels was incredibly expensive. It’s cheaper than ever before to do now. 8:10 – Ben is not a big fan of wearing a device all day long. He prefers to get a blood or saliva test. 9:10 – Ben explains how you can get these tests done yourself. 15:00 – Eventually these tests will be so cheap that you’ll keep them in your kitchen. 24:10 – Ben encourages everyone to do a Tough Mudder race. 28:50 – Ben explains a little bit about what telomeres are. 31:45 – Safari Fit is a great fitness app for when you’re on the go. 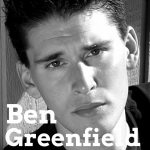 It’s my pleasure to welcome Ben Greenfield to the show. He is author of New York Times bestseller Beyond Training and he offers a balanced approach to fitness nutrition and health and it comes from extensive experience in fitness and wellness industry as one of the countries lending person trainers and one of the things I really like about Ben is he’s very interested in using technology and the quantified self category that we’ve talked about in prior episodes and just helping people combine the physical and the mental angle to this so they can get fit, get strong, and they can optimize their performance in every area of life. Ben, welcome, how are you? Hey, I’m well, Jason. Thanks for having me on and if you hear a tractor in the background, that is not a self quantification device that follows me around, it’s a tractor working in the front yard of my office. Got it, got it and you’re coming us today from Spokane, Washington, I guess, right? Spokane, Washington, yep. I live out in the middle of the forest here and just basically love Eastern Washington and everything it has to offer, so I’m a big fan of hanging out in the wilderness. Good deal, good deal. The Pacific Northwest is just beautiful area of the country, it really is. Well, hey, talk to us a little bit about some of your philosophies on fitness and wellness and combing the physical and the mental. I guess, I don’t know, I wanted to say does it start with the physical, but maybe it starts with the mental. It’s certainly both, but let’s dive in. In this day and age it starts with your internal biology, because just a decade ago the realm of testing yourself to see what’s going inside your body, testing your genetics, testing your blood; testing your saliva, your hormones, your inflammation, all these anti-aging and longevity markers, this was stuff relegated to the folks who wanted to pay $10,000 to go visit Princeton longevity institute or Duke or one of these other organizations that you find in the back of airplane magazines and now anybody can go out and figure out what’s going on inside their body and then take care of themselves, you know, ensure that they live longer and around to see their grand kids hit a home run and they can think better, work, and they can perform better whatever sports they’re playing, have better libido and digestion and everything else that folks are looking for. You can do so now with simple salivary and blood tests and really that’s where I like to start with folks because I’m kind of in the trenches guy and I don’t like to get too woo-woo and blue sky with some article in a magazine that says something is going to work versus you testing your own body and seeing if something is going to work for you, help you physically perform, mentally perform. So, where it starts is with you, right? With what you need for your body rather than what some book or some magazine is telling you that you need. Absolutely and one of those keys that you alluded to, Ben, is now, I mean, we’re living in an amazing time and it’s only going to get more amazing in so many ways, but we have the technology to get incredible amounts of data and feedback that we just didn’t have before and maybe Apple is going to announce something really soon that’s going to make it even better. I mean, they say the quantified self and bio metrics stuff is something they’re focusing on. Tell us about, you know, maybe some of the tools first, if you would. What can people do? There are websites out there that help you track this stuff. There are devices that you stick on to your body that help you track this stuff. Let’s talk about some of the gadgets and some of the apps first if we can. Yeah, absolutely. So, what we’re talking about when it comes to gadgets and apps and specifically most of these devices are like Bluetooth devices really, that’s what most of them are. When we look at Fitbits and Jawbones and even these new devices now, there’s a new one that you and I were talking about before we started recording called it a HealthPatch that you stick to your body and it’ll monitor you 24 hours a day. These are devices that will give you feedback about your blood pressure, your stress levels, your heart rate, your skin temperature, and I kind of have a beef with a lot of these including the iWatch will probably be one of these as well and that is that you’re constantly plugged in. You’re constantly exposed to a signal that has yet proven to be safe for long term exposure and that’s why I’m actually not a huge, you know, a lot of people think I’m a big self quantification bio-hacking guy, I’m not in that respect. For example, my entire home is hard wired, there is no wifi. Yeah, I’ve done many shows on that. That’s very interesting, you know, all of these radio signals around us, you know, no body knows, but I’m sure there’s more to it than the cellphone providers and the Bluetooth and the wifi people are willing to admit. There is. There’s a reason that your cellphone comes with a warning not to get it any closer than an inch to your head, so I live in what I like to call a stupid home. I don’t have all these, you know, hard wired nest devices hooked up. I actually do a quick five minute check in on my body with one of these Bluetooth devices to measure my heart rate and my nervous system, everything, and then I turn it off and I put it away and it doesn’t come out until the next morning. So, when it comes to these devices, they’re useful, but I think their long term safety and the pros versus the cons still remain to be proven. What I am a fan of is actually going in and getting hard data via blood and salivary measurements and more kind of these lab on a chip type of technologies that are emerging rather than hooking yourself up to a Bluetooth device per say, you are actually giving your blood or a drop of your saliva and going in and seeing what are my testosterone levels at, for example, or what is hs-CRP, which is a marker of inflammation, what’s that at? What’s my thyroid hormone look like? You can even do, not to get too crass, but you can basically do poop tests. I do that once a quarter. I look at once going on inside my gut. Do I have a good balance of good versus bad bacteria, because the gut is where the immune system lies or 90% of your immune system is located and where you produce neurotransmitters that assist with brain function. Frankly, if you’ve got a happy gut, you’re usually a pretty happy person. So, once a quarter I go in and I do a full blood test and I do a full gut test and I do a little salivary hormone panel and I’m a bigger fan for long term health and really knowing what’s going on inside your body of those type of measurements than I am versus wearing a device all day long. Well, I agree with you. So, the question is, where do you go for that? I mean, is there a website where you can order these various tests and then you mail it in to somebody, probably. I just did the DNA test on my dog. I’m in the cenegenics program personally. I had them on my show and they invited me, so I had to take them up on that offer. That’s been interesting, but that’s the first time I ever did anything like that. So, you’ve got this girl at Stanford and I forget her name, she’s been in the news a lot lately for this new service that she’s introducing to a lot of pharmacies now where you can go and give a drop of blood and get a lot of these measurements for a drop of blood. Your hormones, your thyroid, etc, and do so at your local pharmacy. Well, this ultimately isn’t, even though she’s been getting a lot of press, it’s not that much different than what has existed for the past four to five years on the internet where you go to any number of websites, there are whole sale websites where you can order a test at about one half to one quarter the cost of what you’d pay by going to your physician, for example, and you order a test wholesale, Direct Labs is a good example. Like a wholesale lab testing website where you go, you order whatever test that you want, and when you order the test you are given what is called a requisition form. You print that form, you bring it to a lab and typically these labs are located, if you live in a metropolitan area from a mile to a few miles from your house, you hand the piece of paper to the person there at the lab, they take the blood, and a few days later you get a PDF emailed to you with all of your results and you never step foot into a doctors office, because what companies like this have are physicians on staff who are actually ordering the requisition forms. So, you bypass the doctor and just go straight to the lab. You also have companies like WellnessFX where you go through the same protocol, but they actually have physicians on staff who do your consult with you after you’ve ordered your blood test and you have this online dashboard where you’re able to keep track of all the tests you’ve done and how your thyroid is fluctuating from test to test or how your testosterone is fluctuating from test to test and that’s kind of one of these deals where it’s concierge online medicine. You get on the phone with a doctor after you’ve taken the lab test and which ever route you decide to go kind of depends on how much of an independent learner you are. Like, I talk to a lot of people who will just go do a test through Direct Labs and then they’ll use Dr. Google to figure out whether or not their thyroid actually is within correct range. If you’re comfortable doing that or if you have a background in medicine then more power to ya. Ben, let me just say something about that. So, the internet has democratized so much. It has democratized the world of publishing, it’s democratized the world of broadcasting, I mean, podcasting is a great example. We’re both podcasters. We can reach the whole world now and all of this stuff in medicine has always been like the secret domain of doctors and they use a lot of Latin words. Medicine has got to be, and it’s getting there, democratized and the freaking legal system is like the last hold out. It’s just ridiculous. This stuff is really, I mean, I’m not a doctor and there are certain things you definitely need the medical system for, but for basic health maintenance, you know, we can all learn how to read and interpret these tests. It’s not that esoteric really. I mean, that’s just my opinion and I’m no expert at doing, but I’m going to come one. Just think about, your doctor has so little time for you, they are under pressure to see more people and do more things where as you look at your test, you can leisurely think about it and interpret it. There are likely to pass you on your way and get to the next patient, so in many ways I think it can be better to do this yourself. The only caveat to that is that if you’re say doing a laboratory tests and a lot of these companies like DirectLabs, when you get your test results there’s H, you know, which means High or L which means it’s Low that tells you if you’re out of range or not. The only thing that folks need to be aware of is these ranges were based off the general population, which sometimes isn’t the best snapshot if you’ve walked around the mall or an airport recently of like the optimum levels of health. So, you take thyroid as a perfect example. Really, an optimally functioning thyroid gives you a TSH, which stands for Thyroid Simulated Hormone of between 0.5 and 2, but if you look at what’s actually accepted as an acceptable healthy laboratory range in folks, it’s actually between 0.5 and 4. You’re find a lot of times people who are between 2-4, they have some thyroid deregulation and their metabolism is affected by things that are influencing their thyroid, but if you’re just looking at say, Wikipedia for example has a fantastic reference range page for laboratory values, but frankly, some of them, you know, if you want to be ultra healthy versus just surviving, you know, they’re not the best reference ranges, so that’s sometimes where you gotta, frankly, there are physicians out there who post the real good reference ranges on the websites and these are usually physicians who fall into like the ancestor health community or natural medicine or folks like Mark Hyman who are now spearheading the functional medicine movement. These are folks who realize that maybe relying upon the reference ranges for the average population isn’t as good as relying on the reference ranges that signify ultimate health and longevity. Yeah, well certainly that disclaimer is appropriate. We all know averages isn’t very good especially nowadays where we’ve got, you know, health epidemics, diabetes, obesity, you know, I mean, just on and on. It’s pretty ridiculous. So, we got that definitely. So, you gotta learn to understand the optimum ranges rather than just comparing the general population, certainly. Makes sense. Okay, those are do, so you just start taking an active role in your own health, get involved in some of these things directly, are they expensive? You know, laboratory tests are getting less and less expensive and ultimately once we get to the point where we do have lab on a chip technology that basically uses nano technology and very small sensors to detect your levels of any given value it’s going to get to the point where it’s literally strips that you keep in your kitchen counter and you just test when you want to test. Right now, we’re not at that level, but we are at a point where you can get a test that would have cost you about $10,000 several years ago, you can typically get that for about $400-600 now and it can still be difficult to get insurance to cover some of these tests unless a physician has diagnosed you with a condition that justifies you getting tested. That’s the only thing. Sometimes you’re paying out of pocket. Frankly, for me, especially the anti-aging and the longevity and the, for me, because I am a athlete the peak physical performance I can derive from these type of testing, that’s worth it to me to pay that little bit of extra to get tested even though I am not sick and it’s only going to get cheaper as technology progresses. There are folks like Peter Diamandis is a perfect example, he talks about this in his book Abundance. Yep, I had Steven Kotler’s co-author on the show, great book. They go into this in that book about how quickly and exponentially is the word they use, these type of technologies are progressing to the point where they really are going to be literally pennies to get these types of tests done that we’re paying for these days in the same way that we now have on our iPhones would have filled an entire room full of super computers several years ago. Yeah, no question about it. So, testing and monitoring definitely important. Did you want to mention anything else in terms of resources there and then I want to ask you about fitness and nutrition, obviously. Those couple of resources that we talked about are pretty good for starting off point. Good, good stuff. Thank you for that. So, eating right and exercising right, what should people know? When it comes to eating right, I think that it’s very easy to get carried away with a lot of the diets that are appearing these days and, of course, it’s well known in the publishing industry that one of the best ways to make money is to publish a diet book and I’ve certainly jumped on that bandwagon before and published diet books in the past or given a certain style of eating, just the word diet just so I could make some money off selling a book, because people feel good about eating food that is part of a special diet whether it’s the cabbage soup diet or the Paleo diet or any other type of diet. What I’m a bigger fan of now is simply eating really any food on the face of the planet that grows that breathes or lives or moves, you know, basically on the earth as long as you can make it digestible. So, what I mean by that is you take quinoa for example, which is this amazing gain that’s chalk full of amino acids and it’s kind of become a little bit trendy these days to have quinoa. Frankly, quinoa is coated in sub-ponents which are irritating to your digestive tract and basically sub-ponents are a soap. So, if you go buy quinoa from your local organic health food store and you cook it and eat it, you’re going to mess up your gut and you’re going to have a tummy arch or you’re going to have suboptimal digestion for a few days, because you’ve just ingested a bunch of soap in to your digestive tract and you can make quinoa digestible, you can simply rinse it and soak it over night and then it’s good for you. We have many grains, many foods out there like this that can be good for you. Milk is another perfect example. When you homogenize it and pasteurize milk, all of a sudden, you make many of the proteins in milk undigestible and you remove many of the fats that allow milk to be very nutrient dense. So, that’s a case where you take a food that would normally be natural and you make it indigestible. So, when you look at the wide world of food around you, I think the most important to ask yourself is two questions. Number one, is it nutrient dense? Meaning, is it actually going to provide my body with a pretty big hit of nutrients considering the amount of calories it has. A rice cake is not nutrient dense. The quinoa that I just talked about, which is also a grain, is nutrient dense and then you ask yourself, is it digestible? So, the rice cake would be very digestible right off the bat. Rice is pretty dang easy to digestible where as the quinoa wouldn’t be unless we did what I just described, you know, soak it or rinse it. I like just that simple process of asking yourself those two questions. Is this nutrient dense? And is this digestible? So, quick question on that. I have heard varying points of view on kale, you know, kale like quinoa is build to be this ultra healthy super nutrient-rich thing, but I heard it wasn’t meant to be eaten directly raw. I don’t know what to believe about that. It’s got a lot of what I call goitrogens in it which can interfere with thyroid function and there are very, very easily kind of, not rinsed off quinoa, but they can basically be removed or deactivated through the process of heating or boiling or steaming. So, like if you’re going to make yourself a kale shake, technically it’ll be more digestible if you were to steam and boil that kale first. Frankly, it’s folks who have thyroid dysfunction who need to worry about that most and the average person can handle the goitrogens in kale just fine unless they’re eating cups and cups and cups of kale on a daily basis, which some people actually do depending on the quality of the blender that they have, right. That’s certainly a good point and there are a lot of foods like this that can either made digestible and there’s, you know, bread is another perfect example. You look at the Paleo diet which is very popular and it says no bread. Well, I eat bread every week, but I eat sourdough bread. It’s made from a local organic red wheat that hasn’t been genetically modified for high yield crop and my wife and I make it and it soaks and ferments in a vinegar medium for 48 hours so it deactivates all these digestive enzyme inhibitors that would normally be in bread and the end product is a very nutrient dense tasty chewy sourdough bread that’s fantastic and tastes nothing like the wonder bread and even the “healthy whole wheat” bread you find at the grocery store these days. So, again, it all comes down to whether or not the food as been made digestible and many, many foods can be made digestible and that’s the next thing I’m about to venture on to. I’m hiring a wild plant expert who knows how to to find edible plants in your area. I’m finding a person who is very well versed in the floor of Eastern Washington, having him up to my land here to walk me through my land and show me which plants on my land I can eat and how I can prepare them property, because frankly we are surrounded by foods we can eat. These new found cricket protein bars are perfect example and they actually don’t taste that bad, I’ve had them. Let’s talk about, you know, you talk about doing extraordinary feats. When I see something like that, my mind instantly goes to, well, are you like an extreme sports guy? We talked about Steven Kotler, his new book, Raise of the Superman, yeah. It’s interesting. What do you think about doing extraordinary feats and are there any good ones that maybe the average guy can do? That maybe that’s something to work up to? A goal. Yeah, so I’ve competed in Ironman triathlons for the past ten years, which is one of the more difficult extreme endurance sports on the face of the planet and I certainly have been an athlete my whole life. I was a college tennis player and then I was a bodybuilder and then got into Ironman triathlon and my newest venture is one, you know, I’ll be competing in three weeks in the world championships of obstacle racing, which is the Spartan and Tough Mudder events that you see where you’re climbing under barb wire and you’re crawling over walls and flipping tires and climbing up ropes and these types of things. Frankly, of all the extreme sports that I’ve participated in, that one is actually the one that I think is most accessible to the average person to go out and just feel like a complete superhero upon crossing the finishing line. The reason is, it’s do-able. Like, if you can’t climb a rope, there are penalties, you can do burpees or pushups or something like that if you can’t make it through certain obstacles, but ultimately everybody crosses the finish line or everybody can cross the finish line. In which one are you talking about? You’re talking about Ironman? No, like a Spartan race or Tough Mudder, because in Ironman, you gotta have a wetsuit, you gotta have a bike, you know, the average income in that sport is like $171,000 a year and frankly, it’s kind of like horse back riding or sail boating. It’s a little bit less accessible to the general population versus these obstacle races where you show up with your old crappy pair of shoes and a t-shirt you don’t mind destroying and you just go get dirty for 30-60, you know, depending on the length of the race and I think that’s a sport, you know, I coach a lot of CEOs for health and longevity and anti-aging and one of the things that I have a lot of them is go out and do an obstacle race just because you cross that finish line and all of a sudden you’re just full of life. You’ve gotten in touch with the planet earth and you climbed over trees and rocks and, you know, all you gotta do, you can walk it, you can jog them, you can run, but you just have these obstacles that you go over and it’s very good for just getting a good perspective on life as well, because you’ve got guys like Ryan Holiday now who’ve published books like The Obstacle is the Way that talks about how life really is about conquering obstacles. I love these races, it’s kind of a practical way to get to know stoicism on a very intimate level and go climb on a barb wire for a little while and get your hands dirty. Yeah, very, very interesting. So, weight lifting, you know, any just quick exercise tips or actually maybe a different question is, you know, any apps to recommend? I’ve been fooling around with a couple of different little personal trainer apps and the ones I like, because I’m not as extreme as you are, not even close actually, but I love these seven minute workout apps and 11 minute workout routines they have on some of these iPhone apps. They’re great, I just put it on my wrist and just get in there and just do it and you feel so much better. Yeah, I’ve got a perfect one for you. I have no financial affiliation whatsoever with this app, I don’t even know who made it, I just have it on my phone and I like it, but before I tell you about that app, the most important thing from an exercise level is that everyday you move. So, you’re physically active. I’m a huge fan. Like, I’m standing right now at a standing work station. I walk up and down straights all day long. I got a little pull up bar in the door of my office, so I’ll stop and do 5 pull ups here and there. I’ve actually got a heavy rock outside the door of my office and I’ll just go lift it and try and carry it around the perimeter of the house. I constantly am injecting physical activity and movement into the day, you know, kind of simulating a hunter/gather/farmer even though I work at a computer by the time I’ve gotten to the end of the day, I’ve been moving all day. So, a formal exercise routine at the gym is option, it’s not a requirement, because I’ve burnt calories all day long. So, that’s number one is move everyday, every single day and then the next thing is lift, okay, so you want to lift something heavy just a few times a week. You want to go out and do a weight training routine or whatever. Some heavy tire flips. I got a tire for free from my local tire store and it sits out there in my yard and I can just go out there and flip it a few times. Rocks, barbells, whatever, but you want to have at least a couple of times a week that you subject your body to a load. There’s actually, it keeps your telomeres from shortening. So, lifting a load a few times a week is a great way to live longer. So, I had the telomere test and I’ve been taking TA65. I’ve got to tell you, I’m not convinced on that test very much because, you know, they made me fill out this big long survey before giving me the test results which I think that could be a scam. I don’t know. It just didn’t seem very legit. Like I want to do it again, although it’s very expensive, I want to do it anonymously and see if the results are different, but it’s interesting that lifting weights actually increasing the length of telomeres and by the way, for those who don’t know, maybe you just wanna explain what telomeres are, but I started taking TA65, the supplement that’s suppose to lengthening them just for kicks if nothing else, wanted to get your thoughts on that too. Yeah, TA65 is interesting. It’s actually extracted from something called astragalus, which is an herbal extract and I take astragalus everyday. I have for years. I’m not convinced that TA65 is necessarily more efficacious then the far less expensive astragalus extract that you can get from your local health food store for very little, but the idea is that it activates a specific gene that can activate the enzyme telomerase, which keeps your telomeres from lengthening…or keeps your telomeres from shortening. When you keep your telomeres from shortening that is one of the things that can lengthen life. It basically allows you to, basically as telomeres shorten that’s associated with decreased life span when we look at things like fruit flies and mice and things of that nature. There are long-term studies in humans that show something like TA65 or astragalus is necessarily going to make you live longer, but it certainly has been shown to reduce the rate at which telomeres shorten, but frankly, so does standing, so does lifting heavy stuff. It’s like, you know, I think you’re going to get more bang from your buck by moving and lifting than you are from spending your money on expensive supplements like TA65 prior to any long term research being done on them. But Ben, don’t you know that everyone just wants to take a pill and not do any work? Exactly, yeah, that’s where my beef lies with a lot of these supplements is that, you know, ultimately biological short cuts are few and far between. We look at..
There’s a little bit of hacking though I think is legit, for sure. So, I just wanted to spell that for people by the way it’s way less expensive than TA65. It’s astragalus. Astragalus root and $8 on Amazon versus TA65 $210 on Amazon. Wow. Yeah, yeah. It’s interesting, so anyway though what I was going to say, I was talking moving, I was talking about lifting. The last thing that you want to that also has a really, really good effect at increasing growth hormone and testosterone, which is very useful for fat loss and muscle building and longevity in both males and females is a few times a week you want to sprint, preferably you want to do something that takes a little less than two minutes and the reason for that is because once you exceed two minutes you begin to use oxygen and activity becomes aerobic and what you want to do is something anaerobic or without oxygen and you want to do something basically involves running from a lion or telling your body, hey, you know what, we’re still alive, there’s no reason to start dying yet, you’re still moving and surviving and so a couple of times a week you sprint as well, but this whole concept of moving, lifting, and sprinting is a really, really good way to setup your weekly exercise routine and so, that being said, this app that I like that is kind of related to this whole seven minute, ten minute exercise routine we talked about is called Safari Fit and it’s just a bunch of movements that are named after animals like the guerrilla and the bear crawl and the lemur. Each workout in the app is generally comprised of four to eight different animal based movements and you can do it in a pack, you can do it in your back yard or office or hotel room, you know, I’m a big fan of anything that’s accessible and that you can do without a fancy health club membership or equipment and you just, you know, your body is your weapon and you go through the workout and it’s got like different levels for how many sets or how many reps you’re going to do based on your fitness level and I like it, it’s kind of cool. It’s simple, a little video of each exercise and that’s one I’ll take out when I’m traveling or when I’m just like at a park and my kids are playing at the playground and I’m like okay, I wanna do a workout, so I’ll just open that Safari Fit app and do a work out. Again, I don’t even know how made the app or I don’t remember how it wound up on my phone, but it’s one of the apps I use quite a bit. Okay, cool. Yeah, $2.99 currently in the app store. Yeah, great. Good stuff. Ben, this has been a really enlightening discussion and I just wanted to ask you, give out your websites, tell people where they can find out more about you. Good stuff. BenGreenfieldFitness.com and just any final word of advice to wrap it all up? You know, probably just full circle to what we began talking about, when you look at technology, bio-hacking, self quantification, try and find a good balance between finding out what’s going on inside your body, but not getting so carried away with all these pieces of technology that you wind up doing, you know, potential damage to your body. So, I think it’s all about finding balance. Good stuff, good stuff. Well, Ben Greenfield this has been a great discussion and go check out his website, listeners and thank you Ben for joining us. Awesome. Thanks for having me on, Jason.